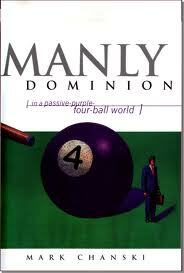 Book Review: Manly Dominion – Called. Convicted. Converted. I heard a lot of hype about ‘Manly Dominion’, but was excepting just another book written to Christian men, going over the passages we have all considered and strive to live up to as Christians; I was surprised. Chanski does go over Biblical truths most men know (and a lot that’s not so well known), but he does an excellent job of applying them to life in a way that is both convicting and encouraging. Chanski starts by giving a biblical foundation and perspective to the theme, obviously the major theme is taken from the early passages in Genesis where man is told to ‘take dominion’. He then goes on to apply this dominion taking to vocation, decision-making, spiritual-living, husbanding, child-rearing and romance management. With probing questions and gripping illustrations Chanski asks the hard questions, and tells men to be men in a thoroughly Biblical way. This book is a really important read for men out there; I would highly recommend it as one of the best books I have read this year, especially appreciating the highly practical nature of the book. What really brings the book to life is the many examples Chanski uses, this is no mere commentary on a few passages, this is extremely applicatory. Knowing what it is to be a man in the this day and age, and seeing the effects of our emasculated culture I think this is a very timely book, one you would do well to read and give to other men you know. Don’t pass it by! Thank you for your incredible, practical, Bible-based insights.